I began my career in early childhood in 1982 after graduating from college. My first experience working with children was so extremely rewarding that I couldn’t imagine doing anything else. I found it amazing how children developed physically, socially, and emotionally in such a short period of time. I quickly realized that during the first three years of life children need as many positive and fun experiences to help facilitate healthy growth and overall development. I attended many conferences and workshops to stay current with the ever changing world of education. I discovered CCEI January of 2012 and I loved the experience. I was able to work at my own pace and could do the courses anywhere as long as I had internet access. There are so many courses to choose from covering topics from child development, curriculum, health, guidance and literacy just to name a few. The courses are research-based and contain current knowledge in education. CCEI is an educator’s dream come true. I have completed certificate programs in Diversity and Multiculturalism and Child Care Orientation. CCEI has also helped me to renew my Infant/Toddler CDA certificate. I enjoy the active times with children because they are constantly exploring, learning and growing. When I am in the classroom I really enjoy having art activities or messy play for children to express their very own uniqueness. Messy play is another important aspect of child development because during this time they are learning about themselves and others. They are learning what they can do and what they can become. I am motivated by the children’s curiosity. Children are always learning. They always want to know what’s going on and how they can make things happen. Their scientific exploration is a driving force and to be able to provide a safe and nurturing environment is very important to me. The children are our future so I feel I need to be able to give them what they need now. I really enjoy just observing children because children have a lot to teach us. Children have taught me patience, love, flexibility, respect but most of all how to look at the world in a more positive way. Children are our future and what we teach them now will carry on to their adulthood and help to shape what is to come. I live in Sumter, SC. In my free time, I enjoy fishing with my family or just trying to catch some quiet time for me. I am very family oriented and spend as much time with my family as possible. My current position as Education/Disabilities Coordinator keeps me extremely busy because part of my responsibility is to be sure the teaching staff has required trainings and any other needed trainings. My plan for the immediate future is to provide what the teaching staff needs and to stay current with any educations requirements and changes. 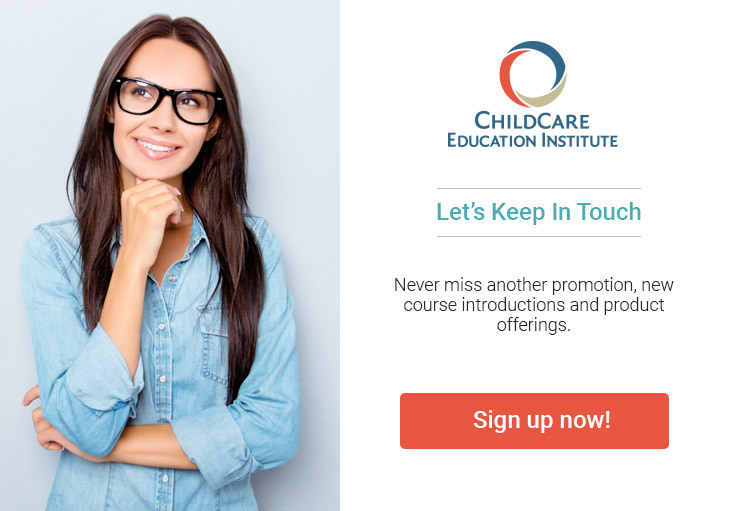 I currently have a subscription with CCEI for my teaching staff at our Early Head Start Program. The staff can easily access the courses when it is convenient for them and it also helps them to complete the required annual training hours for DSS. I am always recommending CCEI to others. I also give out the free trial course invitations to the families we serve. CCEI has been a wonderful discovery for me because there are so many courses to choose from and more courses are always being added. CCEI fits the needs of anyone in the education field from Administration to teachers. It has given me opportunity to stay current in my training needs and to always be available so I can work at my own pace to complete courses.